This is a Beautiful "T-Lord" Model by Tore Fogarizzu from Italy. This is a Button release folder of a Series of only 7 that will be made by Tore. This incredible piece is number 6/7. 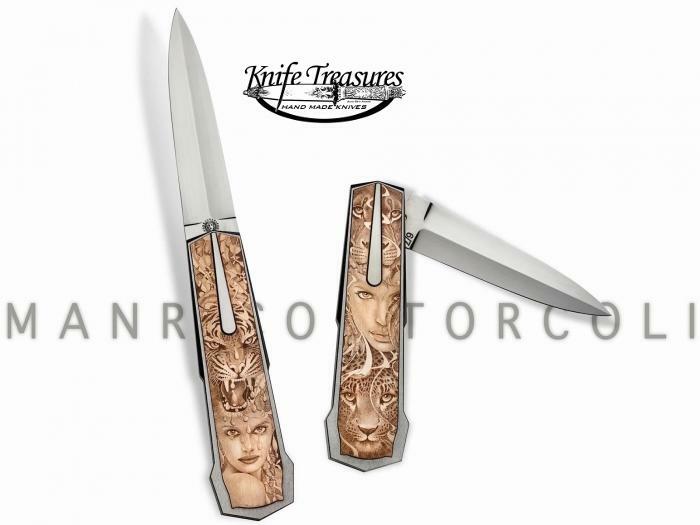 To top off this amazing folder Manrico Torcoli has engraved it with a beautiful and elegant "Women & Large Cats" themed engraving. The results are Spectacular! 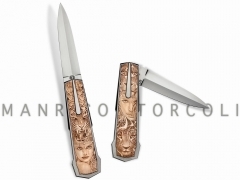 The result is a truly Magnificent "Art Knife".